Contact Little Havana Accident Lawyers Gerson & Schwartz, P.A. 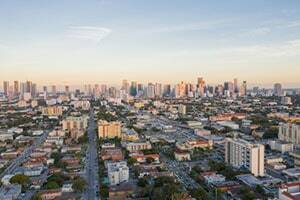 Little Havana is a thriving, busy neighborhood in Miami, and a consequence of its bustling nature is that accidents occur. All sorts of accidents happen on a daily basis, and in many cases, someone’s negligence is the underlying cause. When an individual or business is careless or reckless, there is always a risk that something will go wrong, and someone will get hurt. One day, that someone may be you or your loved one. After an accident in Little Havana, it is best if you find out what happened and why. But doing this yourself can be challenging, particularly when you are recovering from injuries or the loss of a loved one. That is why it is a good idea to hire a Little Havana personal injury lawyer to investigate the accident. Our veteran accident lawyers at Gerson & Schwartz P.A. are here to determine what happened and pursue compensation for you through a personal injury or wrongful death claim. In order to get the most recovery possible through an accident and injury claim, though, you need to take certain steps. By responding a certain way after an accident, you improve your and your attorney’s access to crucial information. Your insurance claim or litigation can start off strong if you know what you should do after a Little Havana accident. But no matter how you or a loved one responded immediately following an accident, you should contact our Little Havana personal injury attorneys right away. You can reach us through our online form or call (877) 475-2905 to schedule a free consultation. Obtain Witness Statements and the other parties’ information: If another person or business is involved in the accident, get that party’s information. For an individual, this includes their name, phone number, address, and relevant insurance information. If the individual was a driver, you should ask to see their driver’s license and take down the number. If the other party was a business, obtain the business’s legal name, contact information, and insurance information. You should also ask for the names of workers who were involved in or witnessed the accident. Document the Accident Scene: - Document the Scene, a Defective or Dangerous Condition, or Hazard is paramount. Use your phone or ask someone you are with to take photos and videos of the accident. For a crash, this would include the damage to the vehicles and surrounding property and marks in the road. If you were injured on another person or business’s property, take plenty of pictures of the condition of the property, including any particular hazard involved in the accident. If you slipped and fell take a picture of the area. If you’re too injured to do so, contact someone like a personal injury lawyer to assist right away. Look yourself over for injuries: Whether you are in a car accident or slip and fall, do not immediately try to move. Take stock of how you feel and whether or no you believe you are injured. After any accident, your health and safety should be your top priority. Get medical attention: Whether you or someone else calls 911 right away or not, you should see a physician after an accident. If someone calls 911 and first responders arrive, let them check you out. If they recommend you go to the emergency room, you should go. This ensures you do not try to head home with a potentially serious yet hidden injury. If you do not go to the ER right away, see a physician as soon as you can after the accident. By seeing an ER physician or your family doctor, you document the physical aftermath of the accident, which is important to your claim. Involve local authorities: The most common way to begin documenting an accident is to call the police. This ensures there is at least a basic report of what happened, when and where the accident occurred, and the parties involved. Contact a personal injury attorney: Once you are safe and have seen a doctor, the best thing to do is contact a Little Havana personal injury lawyer to help you with next steps, including filing a claim with the relevant insurer. 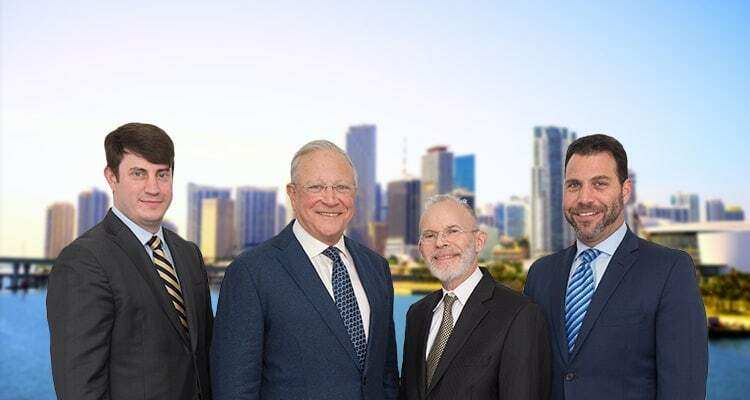 If you were injured or lost a parent, spouse, or child in an accident in Little Havana, our bilingual attorneys at Gerson & Schwartz P.A. are here to help. We offer free consultations so there is no barrier to you obtaining accurate legal information and experienced legal insights. If you decide our firm is right for you and your claim, we will take your case on a contingency fee basis. We do not charge upfront or hourly fees. You will not pay us a fee unless we win your case and obtain you compensation through a settlement or court ruling. To schedule your free consultation, call us at (305) 371-6000.